The government of Dubai surpasses all the other emirates of UAE in providing facilities to various businesses. It is an important reason behind growth of all types of businesses in Dubai as compared to other emirates. The rulers of Dubai are taking keen interest in development of various sectors in Dubai and they take appropriate decisions from time to time for the same purpose. It is also evident from a recent move by ruler of Dubai and UAE’s PM Sheikh Mohammad bin Rashid Al Maktoum. 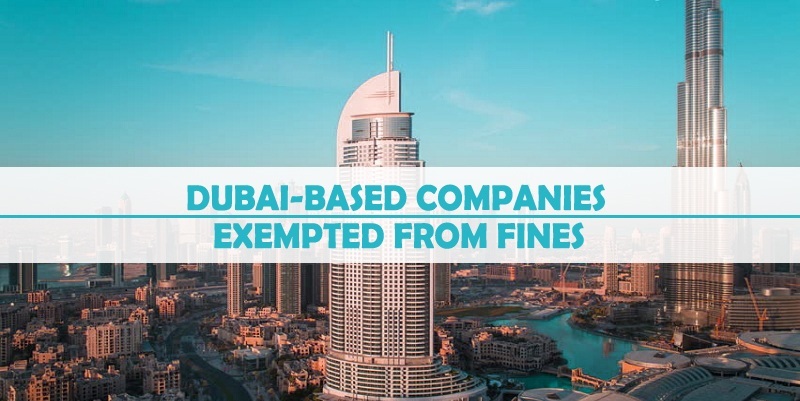 According to Dubai Department of Economic Development (DED), companies operating in Dubai are now exempted from fines and they will be facilitated by the government for renewal of their licenses. This is announced after issuance of decree by the government of Dubai. According to authority, this decree proves the determination of Dubai’s leadership to support businesses by eradicating different obstacles in their way. The aim of this latest decree is to reduce cost of doing business in Dubai that will ultimately result in facilitating investment in the said emirate. DED further elaborated that the authority is taking several steps to stimulate competitiveness among companies and achieve long-lasting economic development in the emirate. Apart from this latest exemption of fines and trade violations, DED is also trying to achieve its aim by reducing operational cost in retail sector, attracting and promoting best startups in Dubai and supporting local production and procurement. The officials of DED expressed their pleasure and confidence on this latest decree and said that this will benefit all types of businesses in Dubai as they can now get rid of all types of fines. It will help them renew their licenses by the end of 2018 that is really helpful for businesses with expired licenses. It is said that this will strengthen Dubai’s position as one of the world’s most important business and commercial centers. It will also eradicate concerns of those companies that want to expand their business in the emirate. This latest order is a clear indication of the seriousness of the leadership of Dubai about facilitating new and existing businesses. There is no reason that companies would not take full advantage of this decree as such opportunities are rarely available in any other part of the world. Therefore, if you are an entrepreneur and want to establish or setup your business in Dubai, then the best and easiest way to do so is by contacting Riz & Mona Consultancy via our WhatsApp # 971-56-9971225. We are specialist in establishment of businesses in Dubai and other emirates of UAE. Great News!! we have a technical services license expired since 2012 we have to pay fine or we can renew it as paying only license fee.